The 2-minute 45-second video clip has gone viral with over 16,000 retweets and more than 26,000 likes. A lot of people were shocked to see the video and had interesting insights on it. VIDEO: This Chinese delivery boy got married on a scooter! VIDEO: Mystery behind the driverless car solved; was there a man inside or not? 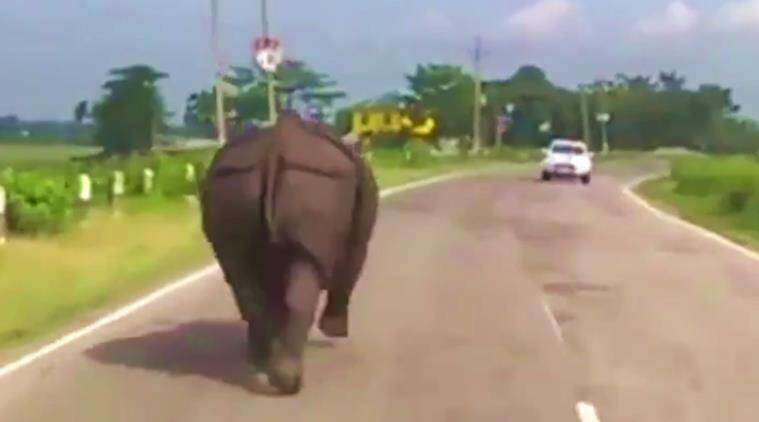 Just a rhino charging at traffic, while an Indian couple commentate with Hank Marvin on the radio. That’s all.